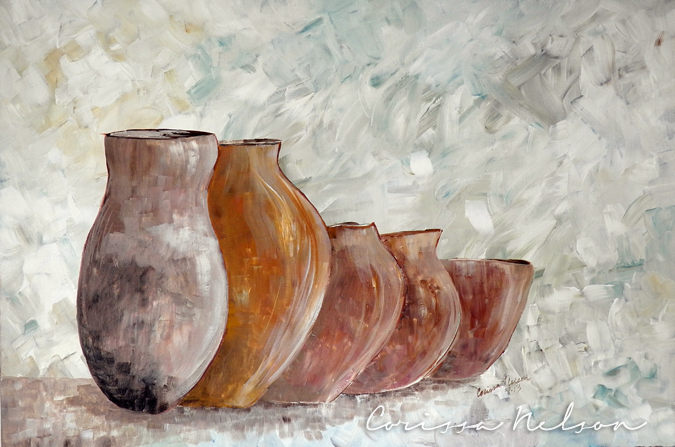 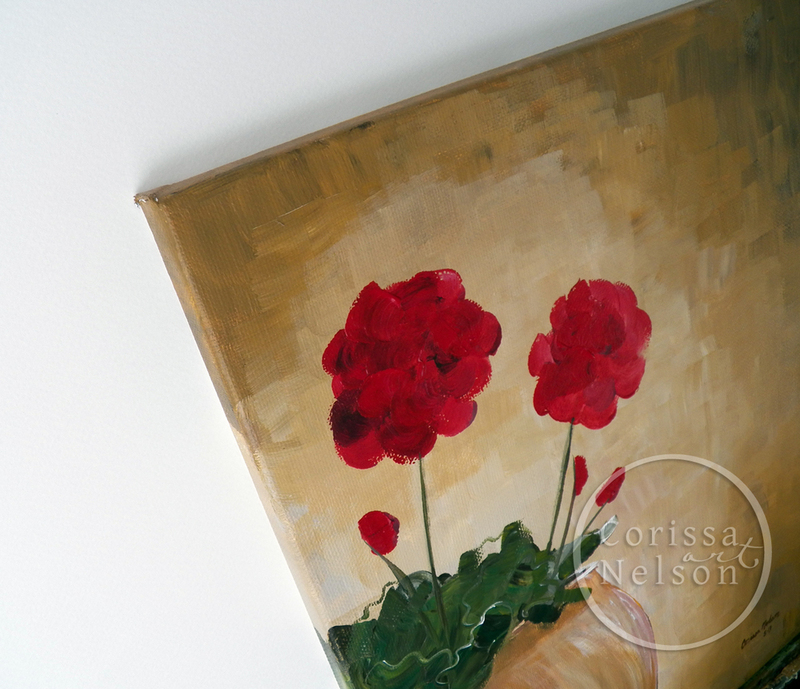 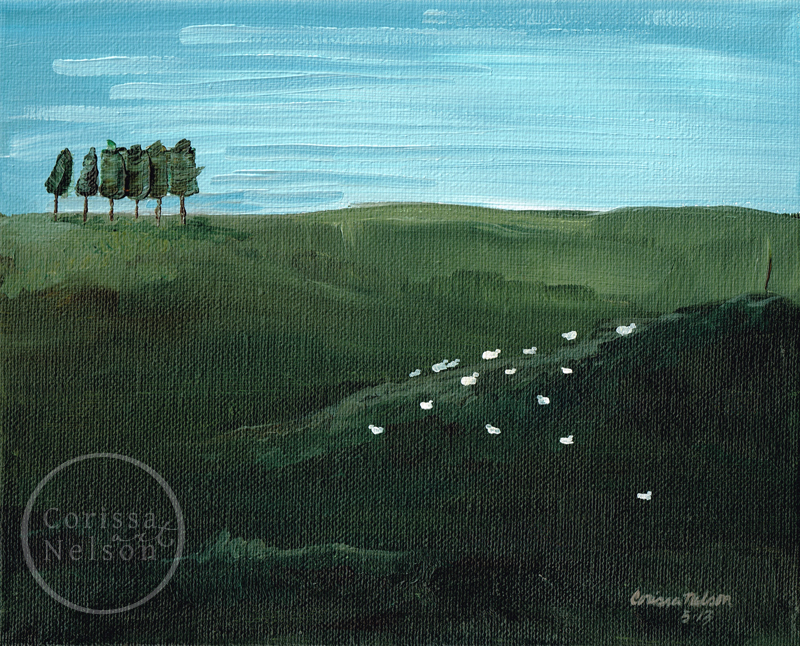 This is a little 8"x10" painting, reminding me of Psalm 23 and John 10. 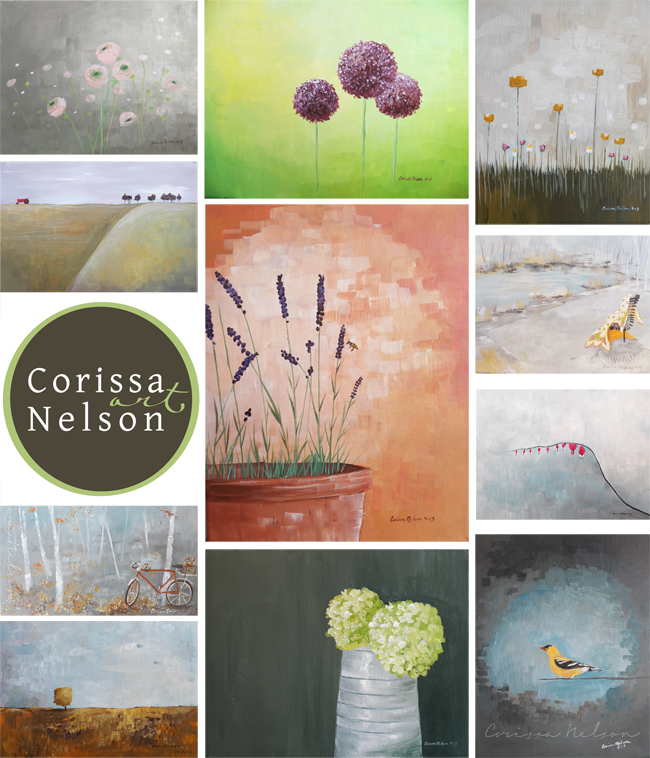 This is a collection of recent paintings, currently available for sale. 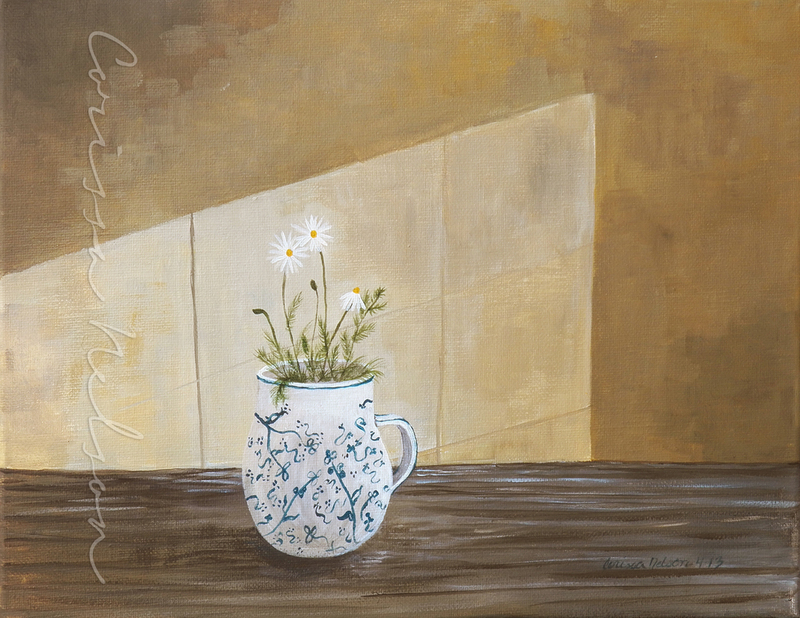 This is a new painting in the Flower Shop, "A Cup of Chamomile." 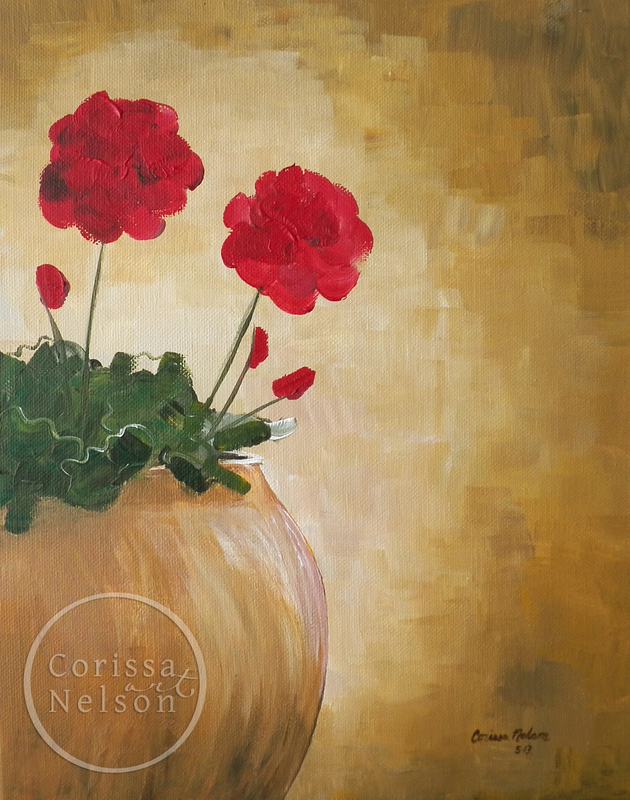 Today was finally sunny long enough to photograph it!